Hot flashes are one of the most common symptoms associated with menopause, with up to four in five women experiencing hot flashes at some point in their lives - whether during perimenopause or menopause itself. If you're experiencing them, you may be wondering about how they connect with the hormone estrogen responsible for most menopause problems. Learn about hot flashes, estrogen, and their connection. Hot flashes are characterized by a sudden feeling of extreme heat that does not have a reasonable explanation. It also often produces symptoms such as sweating, a rapid heartbeat, and a red flush on the skin. Many women experience hot flashes during menopause, and they can have a significant impact on daily life and functioning. In particular, they can cause sleep interruption because they often occur at night, and this can make it more difficult to function during the day. Unfortunately, despite the common occurrence of hot flashes and the high number of women who experience the symptom, very little is known about the cause of hot flashes. For many years, science had no insight on why this happened or how to influence it. Although we have learned more in recent years, much of the mechanism of hot flashes is still a mystery. How Do We Know Estrogen Is Involved? Changes in hormones, and especially in estrogen levels, are what cause nearly all of the symptoms associated with menopause. All menopause symptoms are likely to have a connection to estrogen, even if the connection is not a direct one. However, it has been shown that hormone replacement therapy (HRT) involving estrogen can help to reduce or even eliminate hot flashes. 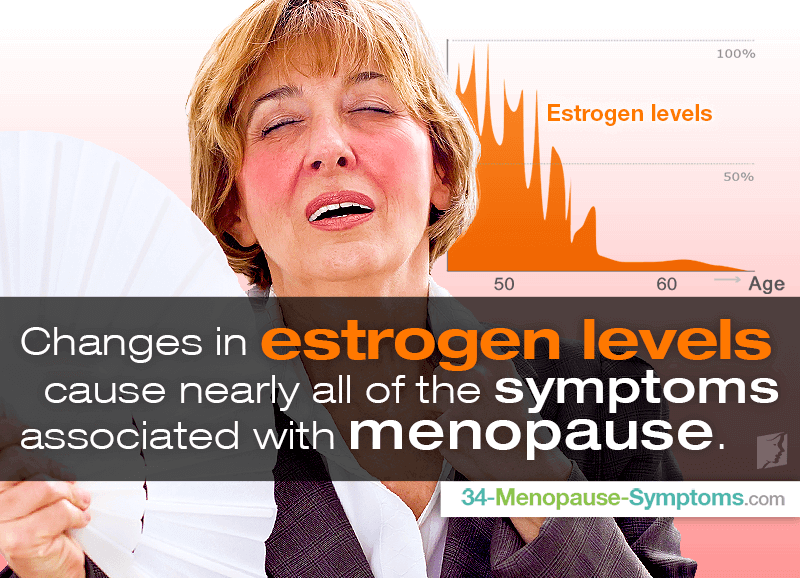 This provides clear evidence that estrogen is an important component of hot flashes, since taking the hormone can eliminate the symptoms. What Do Recent Studies Say? There have been recent studies that have attempted to learn more about the connection between estrogen and hot flashes. One study has discovered that estrogen seems to have an effect on the hypothalamus, which is a region of the brain that controls many things in the body. The hypothalamus is directly involved in hormone regulation, meaning that it is sensitive to fluctuations in levels of hormones like estrogen in the body, and it is also involved in controlling body temperature. According to the results from this study, the brain and the hypothalamus in particular may be the controlling force behind the link between estrogen and hot flashes. This can help you understand the link between hormonal hot flashes and estrogen, the hormone that causes them. Read about four popular medications for hot flashes to learn more about estrogen as a treatment for hot flashes.